Amazon has announced the Freedom Sale in India. In the build-up to India’s 72nd Independence Day, the e-commerce giant is kicking off a four-day sale that will see over ‘200,000’ deals on a range of products including smartphones, tablets, laptops, TVs, gaming consoles, clothing, home appliances and furniture, and more. This includes some big brands such as LG, JBL, OnePlus, Huawei, Honor, Samsung, and Vivo among others. The Amazon Freedom Sale will begin on August 9 at 12 am midnight and will last until 11:59 pm on August 12. The four-day sale will be hosted ahead of the Independence Day, which is also when most shoppers go out to cash in on the huge discounts and deals being offered during these days. Amazon will offer an additional cashback of 10 per cent, in partnership with State Bank of India, to the credit and debit cardholders. Moreover, there will be No Cost EMI payment mode available on a large variety of products. Amazon has already put the placeholder page where the company is running a countdown to the sale. The Amazon Freedom Sale page also outlines the deals, offers, and discounts on specific products. The highlight of the sale will, of course, be smartphones and Amazon is making sure that the buyers are enticed enough to click the Buy Now button. Talking about the smartphones, major brands such as Samsung, Honor, OnePlus, Vivo, and others are participating. The OnePlus 6 will be available with extra exchange value between Rs 1,000 and Rs 9,000 – the final deal will be disclosed when the sale begins. There are cashback and discount offers on smartphones such as Huawei P20 Lite, Samsung Galaxy Note 8, Realme 1, Honor 7X, and Moto G6 among others. Moreover, there will be at least four new smartphones that will be launched during the sale, says Amazon, which will at least include the Honor Play, Huawei Nova 3i, and BlackBerry KEY2. There will be an overall 40 per cent off on mobiles and accessories. Apart from this, Amazon will give up to 50 per cent off on electronics including DSLR cameras, wired and wireless speakers, external hard drives, and laptops. Amazon claims that there will be over 2,000 offers available to the buyers on electronic items. Participating brands include Intel, JBL, Lenovo, Western Digital, Seagate, Canon, Bose, and Sennheiser among others. There will be exchange offers available on a huge range of products. Amazon will also be giving away major discounts on the Amazon devices such as Amazon Echo, Echo Dot, Echo Plus, Echo Spot, Fire TV Stick, and Kindle ebooks. You can expect discounted price tags and cashback offers on all the products. Amazon will also be offering discount coupons on every order, which you can redeem to buy eligible products. Amazon App Jackpot will be available to the buyers as well, which will see prizes worth over Rs 4 lakhs. The buyers will get additional benefits from using Amazon Pay. Last month, OnePlus confirmed that both the OnePlus 3 and the OnePlus 3T will get their last open beta build update in the first week of July. OnePlus is living up to its words. Starting today, OnePlus is pushing the final open beta builds for the OnePlus 3 and the OnePlus 3T. For the OnePlus 3, this is the Open Beta 39, while for the 3T its Beta 30. 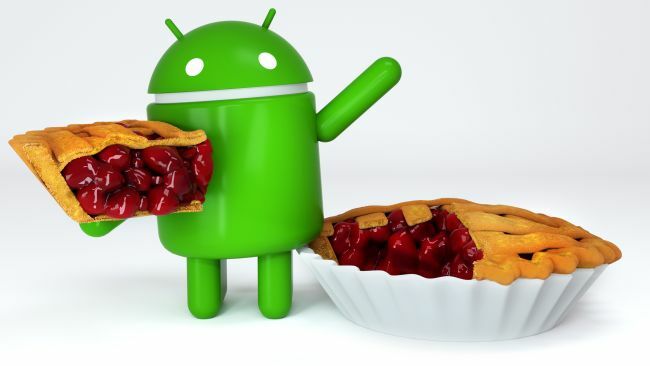 The stable build of the software update will be rolled out by the end of this month. It is important to note this is a beta update and hence may not be as stable as the official OTA update. “Please keep in mind that this is beta software. These builds are sometimes not as stable as our official OTAs generally are. By installing this update, you accept the potential risks,” OnePlus noted in a blogpost. According to OnePlus, the latest open beta builds bring significant changes to the app drawer, camera app, and audio setup of both the OnePlus 3 and OnePlus 3T. The update brings improvement to the search tags of the app drawer. It also brings adds “New installs” category tag in the app drawer and improves app list for hidden space and toolbox. In addition, the new OxygenOS update optimizes switching between front and rear camera. This means, with the new update, it will be easy for users to switch between the back and selfie camera, unlike before. The transition between the cameras will be smooth now. The software update also adds the capability to scrub/seek through AAC audio file timelines, OnePlus said. “Please note that this is the last open beta for OnePlus 3 and OnePlus 3T, we will provide a stable version of OnePlus 3/3T for beta testers to migrate back to stable version of OxygenOS later this month to ensure beta testers will receive regular Android security patch update and so on,” said Manu J, Staff Member, Beta Program and Dev Relations of OnePlus. Apple is making some changes to how passwords work with the release of iOS 12, offering new capabilities that make it easier to create and use strong passwords, help you make sure that your passwords are unique, and even giving a helping hand that will make third-party password managers like 1Password and LastPass better able to integrate with the system. The changes coming to how passwords are handled in iOS are meant to make your digital life more secure and more convenient. Here’s a rundown of what you can expect. Apple occasionally offers updates to iOS, watchOS, tvOS, and macOS as closed developer previews or public betas for iPhone, iPad, Apple TV and Mac (sadly, no public beta for the Apple Watch). While the betas contain new features, they also contain pre-release bugs that can prevent the normal use of your iPhone, iPad, Apple Watch, Apple TV, or Mac, and are not intended for everyday use on a primary device. That’s why we strongly recommend staying away from developer previews unless you need them for software development, and using the public betas with caution. If you depend on your devices, wait for the final release. Apple has offered strong, automatic password suggestions in iOS for some time now, generating suggestions when users created new login credentials in Safari. iOS 12 takes it a step further. Instead of just suggesting a strong password, iOS will create a password, then present you with two options: use Apple’s password or create your own. If you choose to use Apple’s, the password created by iOS is automatically stored securely in iCloud Keychain and synced across your devices without you ever having to see it. These passwords will be filled automatically when logging into the corresponding service. The goal is to make strong password creation simple and secure. What’s more, iOS will be able to do this outside of Safari, too. When you sign up for an account within an app in iOS 12, the same password creation process will present itself there, as well. Developers will be able to customize this process to an extent. If their app or service has certain password requirements (excluding particular symbols, including both a number and a capital letter, etc. ), developers can tell iOS, and those requirements will be taken into account when the system generates the strong password. If you ever need to get to one of these passwords, you can always ask Siri. But don’t worry, Siri won’t go blurting your password out. You’ll need to authenticate with your device, and then you’ll be taken to your password list, which you would normally find under Settings > Passwords & Accounts > Website & App Passwords. Open Settings on your iPhone or iPad. Scroll through your passwords and tap on one with a triangular warning symbol. Tap Change Password on Website to be taken to the relevant website to change your credentials. SMS is a popular way for companies to deliver one-time codes to users that have two-step verification turned on for logging into their accounts. While currently, you might need to flip between the Messages app and the app to which you’re logging in in order to get that code, iOS 12 lets you stay where you are. When you receive an authentication code in a text message, iOS will find it automatically and place it in the QuickType bar of the keyboard, just as though you were getting a suggestion for a word to type. Open your app on Apple TV. Select the email address field on the login page. Tap the Keyboard and Password AutoFill notification on your iPhone or iPad. Tap the credentials that pop up on the QuickType keyboard bar. Tap the key icon on the QuickType keyboard bar if the credentials didn’t pop up on their own. Search for the relevant login information. Tap the login information that you want to use. Your username/email address and password will then populate the correct fields on your Apple TV app. Select the Login or equivalent button on your Apple TV. This is made possible by one of the coolest little tricks I’ve seen from Apple in recent memory. With tvOS 12, the Siri Remote that comes with the 4th-generation Apple TV and the Apple TV 4K can act as a locator, finding nearby iOS devices on which to offer an AutoFill request. Because it’s proximity-based, you shouldn’t get these requests on all of you devices, just those that are closest to your remote. This is pretty cool. While iCloud Keychain is great for many, some people, myself included, prefer third-party password managers like 1Password and LastPass. And with iOS 12, Apple is making it easier to use those apps by providing a new Password AutoFill extension. With this extension, developers will be able to offer their stored login credentials in the QuickType bar on the iOS keyboard in both Safari and third-party apps, just like Apple does now with iCloud keychain when you’re logging in somewhere. So instead of having to tap the share button, tap the 1Password extension button, authenticate, and tap on or find the relevant login credentials in order to use 1Password, I should just be able to tap once on my credentials that appear right above the keyboard, just as though they were a part of the system on my iPhone or iPad. Truecaller has officially said that it has bagged Chillr and now the company is foraying into digital payments segment in India. Now it has launched Truecaller Pay 2.0. 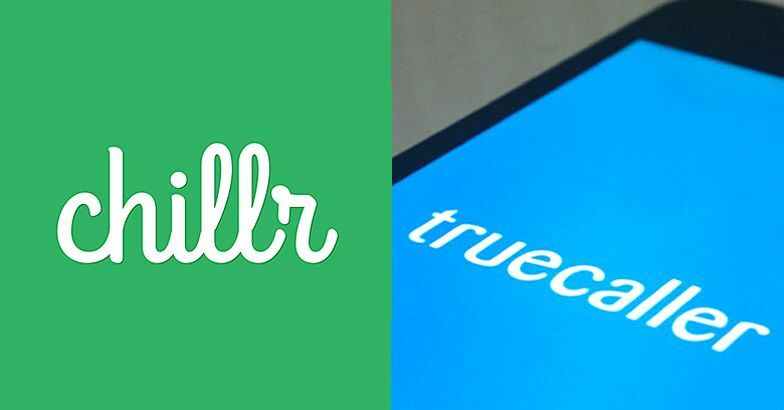 Chillr is planning to leverage its full reach of over 150 million users in India as well as its over 300 existing partnerships to enable Truecaller Pay as a platform. The big Gmail redesign is slated to arrive for everyone next month, Google announced Monday. Have a look at the list of new Amazon cashback offers June 2018 & coupons for HDFC, ICICI bank, SBI, CitiBank, Standard Chartered and Axis bank credit & debit card users. Now enjoy Upto 15% extra cashback on Amazon India website and app using your credit card, debit card or even internet banking. Let this month be a shopping spree for you as you enjoy amazing Amazon upcoming offers on mobiles, electronics, fashion, phone recharge etc. with additional cash back. Amazon is considered as one of the biggest E-commerce giants in India and across the world. It offers great discounts and deals to its customers and thus it becomes very lucrative to the users. Furthermore, amazon in association with various banks such as SBI, CitiBank, Standard Chartered, HDFC, Axis, ICICI, Yes Bank, Kotak Mahindra etc. offers additional cashback to its customers while using their credit and debit card. You can easily avail the Amazon cashback offers using your debit or credit cards. You can get a cashback of upto Rs 2000 when you shop on amazon.in. Furthermore, you can choose your favourite product and avail the EMI facility on the same. So, let us have a look at the amazing cashback offers that you can grab at amazon. This week Amazon India is offering cash back offers on purchase of mobiles, laptops, tablets, cameras, TV’s, clothes, electronics etc. in association with various banks such as ICICI, State Bank of India, CitiBank, Standard Chartered, HDFC, Axis, ING Vysya Bank to name a few. Below are the live and upcoming Amazon India cashback offers for the month of June 2018 exclusively tailor made for its customer. Amazon Hdfc bank Offer is one of the best offers that you can grab during the sale on Amazon. Hdfc bank offers on Amazon are quite lucrative and it is offering 10% cashback on Amazon HDFC credit/debit cards offers. You would be getting a cashback of up to Rs 2000 while you buy the products worth Rs 5000 and above between the date 21st April – 24th April 2018. The cashback would be credited to your account latest by 1st July 2018. The offer is applicable on both the website as well as the application of Amazon. There is happy news for the SBI customers as Amazon is giving 10% additional cashback on the SBI credit card and debit card. You can avail a maximum cashback of upto Rs 1,750 on a minimum purchase of Rs 5000. The SBI cards offer on Amazon is valid on 7th, 8th, 9th & 10th April 2018 and the cashback would be reflected to your account latest by July 10th, 2018. For availing the discount, you would not need any special coupons. The offer is valid on purchase of products on both the website as well as the application. So, don’t miss this exciting offer and get the best deals on the products. Furthermore, the cashback can even be availed on products where you are applying for the EMI. Note : This offer is also valid on cards of SBI associate banks like State Bank of Hyderabad, State Bank of Patiala, State Bank of Travancore, State Bank of Bikaner & Jaipur and State Bank of Mysore . It is time to rejoice for the Citibank card holders in the form of amazon Citibank offer as you can get an additional discount of 10% while you do the shopping on the Amazon.in. Furthermore, you get a maximum cashback of upto Rs 2000 when you purchase a minimum of Rs 3000. The offer is valid on the Amazon site as well as application. The citibank offer on Amazon is valid from 4th October – 8th October. One thing that is worth noting is that the following offer is not applicable on COD. Don’t let this fascinating offer slip out and thus purchase your favourite product from amazon..
Amazon.in is throwing out additional discounts to its customers. If you are a ICICI BANK Debit/Credit card holder, then you would get a discount of 10% on the transaction made above Rs 3000. The maximum cash back that you would get is Rs 1500 and you can even avail the facility of EMI on the purchase of the products. On all the category of products, make the shopping affordable by means of icici bank offers on amazon thus is exclusive for ICICI bank customers. To grab the offer, you would just need to use your ICICI bank credit card/debit card while you are checking out and thus grab products at a never before price. So, don’t hold back as the following offer is valid for a limited period of time. Amazon ICICI Bank offer is valid from 13th May to 16th May 2018 . Once you load your Amazon Pay balance with an amount of Rs.1000, you get to enjoy 10% cashback during the Amazon Pay balance offer period. The maximum permissible cashback amount is Rs. 100 for each customer. As a regular Amazon customer, you are eligible to receive the available cashback amount as Amazon Pay balance; this amount will be credited to your account by 1st June 2018 on amazon.in. So, hurry and add more money to your Amazon Pay balance in the ongoing offer period extending from 1 June 2018 – 21 June 2018, 2018. You will be delighted to receive the attractive cashback amounts in your Amazon Pay balance on the mentioned date. Get set to enjoy the cashback in the form of more purchases on Amazon Prime – you will be happy to get home the things you have always wanted to buy! Want to get more from your shopping on Amazon? All you have to do is shop with your Amazon Pay Balance and get 30% extra cashback! You can rub your eyes to believe this offer because it is true! The minimum value of your cart should be Rs.250 and the maximum cashback that you are eligible to enjoy as an individual is of Rs 300. Please note that you don’t get the cashback instantly credited to your account. It takes a minimum of three working days for you to get the cashback. Also, this offer is valid for a few days only – 13th May 2018 to 16th May 2018. If you try to use this offer post its expiry, you won’t be able to get any cash back at all. Thus, if you want to buy something from Amazon, ensure to make the purchase before the offer expires! Are you an Axis Bank customer who loves shopping on the popular Amazon India marketplace? If yes, then you are indeed lucky! These days, Amazon.in is doling out lucrative cash back offers to all Axis bank card holders as well. This effectively means that by using their Axis Bank credit or debit cards for making purchases online on the Amazon Indian store, all Axis Bank customers ( like you!) can avail a whopping 10% money return on their orders! So, get in touch with the exciting deals and offers that Amazon.in is presenting to all Axis Bank members – you will love to get all that is in store! When you shop on Amazon India by using your visa debit/credit card, you end up getting 10 percent cash back in your Amazon Pay wallet. Just place your order on Amazon using your master debit or credit card and you are good to go. The maximum cash back possible per customer is Rs. 100 as cash back. This amazing deal is applicable for the 1st & 2nd cashless order that you indulge in on Amazon India. The best thing is that you can avail the same offer on your next consecutive order upon using the same card. Its high time you started creating your wish list for electronics, mobiles, laptops, fashion accessories, apparel, home appliances and all other product categories of your choice. The cash back applicable to you will be credited to your account within 20 days of placing the order. The offer duration is 4th April 2018 to 4th June 2018, so rush! When deals and offers are being showered on all those visiting the Amazon India global store, why should Yes Bank be left behind? A lot of good tidings are in store for all Yes Bank debit & credit card holders too. If you happen to be amongst them, then all you need to do is use your Yes Bank card details for making your next transaction on this site. By doing so, you become eligible to grab an additional 10% (up to Rs 3,000) cash back across all product categories at Amazon India. Hey, is that not super-exciting? Remember, this Amazon Yes bank offer is valid from 24th November to 27th November on Appliances on your minimum purchase order of Rs 10,000; hurry! American Express – one of the most adorable partners for online shoppers and online e-commerce portals is reputed for offering the best discounts to its card holders. The same rings true for shoppers with an Amex card in their hands at Amazon India. If you are the holder of an American Express credit or debit card you have plentiful reasons to rejoice. This is because all those using American Express cards for making purchases on Amazon.in can avail exciting 10% cash back on their orders of Rs 5,000 or more. As this offer is applicable on all products that are on sale at the site’s Tv & Large Appliances categories, be sure to avail the best prices before all others! Hurry ! This mind blowing Amex Offer is valid between 11 – 12 October only . It’s raining smart cash back offers at Amazon. Get set to receive 5% cash back as reward points when you start making your next purchases on Amazon.in – both on the website and the mobile app. Once you make a successful single transaction with your HDFC debit card, the cash back will be refunded to your account for a purchase value of Rs. 5000 and above, directly. It is so simple to avail this special cashback offer from Amazon.in! Make a single transaction amounting to Rs. 5000 or above to get the refund directly into your account. Good news! Every customer is entitled to get maximum cash back of Rs. 500 each month during the duration of this offer. You may like to avail this interesting cash back offer on purchases made through your HDFC debit card from 1st July 2016 to 17th January 2017 (both days inclusive). Once each calendar month ends, the cash back points will be deposited into your debit card account after a span on 90 days. The refund will take place for eligible customers only. As a valuable Standard Chartered Bank card customer, you will love to make your online purchases of Clothes, Shoes, Sunglasses & fashion other products on Amazon India. Still asking why? Do know that Amazon India is providing a limited one time offer with cash back up to 10 % of your purchase orders paid through Standard Chartered Bank cards. Now if that is not enough to give you the adrenaline rush, what is? Wait no longer and shop till you drop. This thrilling offer on amazon by Standard Chartered Bank is up for grabs from 27th March – 28th March 2017 Only . To be eligible to receive this exciting cash back offer, you have to make a minimum transaction amounting to Rs. 2,000 or above. A maximum cash back return of Rs. 1000 awaits you at Amazon.in during the offer period. Looking for the best discounts on your purchase of fashion products? Wait no longer as the Amazon Fashion Wardrobe Refresh Sale is knocking on your door. Use your HDFC credit cards to avail extra 10% cashback on all purchases conducted in the period 23 June 2017 – 25th June 2017 on the fashion products on display at this Sale – a minimum transaction of Rs. 1500 will fetch a maximum cash back of Rs. 500. This cash back amount will reflect in your account by 25th August 2017. Wait no longer and start making your wish list – right away! Your ICICI Bank credit or debit cards can serve to be your ticket to success when you start shopping on Amazon Super Value Day Store with your ICICI Bank cards. As a valuable ICICI Bank customer wishing to shop on Amazon India website and its app, you are entitled to get up to 20% extra cash back when you are ready to pay for your purchases. Say, when you shop for Rs. 1500 to Rs. 2999, you get Rs. 300 as cash back. Shopping for an amount of Rs. 3000 to Rs. 4999 fetches you Rs. 550 as cash back and your purchase transactions of over Rs. 5000 gets you a whopping Rs. 1200 in your wallet in the form of attractive cash backs. Now is that not wonderful? Wait no longer and get ready to shop online on Amazon Super Value Day without any further delay! 15- Amazon.in Presents Cashback Offer on Cash On Delivery Orders! Got a VISA card? Want to save money by shopping on Amazon.in? Then here’s a golden chance for you! If you have been shopping on Amazon.in, we have some amazing news for you – with the help of your Visa card, you can now get 10% cash back on cash on delivery payments! All you need to do is fill that cart with everything that your heart desires to buy; once you have it all, select Cash On Delivery (COD) option. The moment you receive your product or products, swipe your Visa card to pay to get 10% cash back offer! Please note that this offer period is available from 15th of September 2016 to 15th of December 2016 and there is no minimum order value that you need to follow. However, you have to make two prepaid orders using your Amazon account on Amazon.in to be eligible to get this offer, which will get credited in the form of a gift card on the website. The maximum cash back amount is Rs.100 and the amount will be credited into your Amazon customer account, which was used to place the order, maximum by 15th of January 2017. So wait no more and enjoy this offer RIGHT NOW! Amazon India is throwing away great discounts and cashback deals on various categories such as mobiles, electronics, laptops, tablets, cameras, appliances, TV’s, clothing, footwear, games, and many more. You can get great offers on all these products and you can purchase the products using credit card, debit card, EMI and Net banking. So, here are the lists of categories where you can avail the Amazon cash back offers. If you are in the mood for purchasing electronic items then you need not look any further than Amazon India. From the best offers on mobiles, tablets, cameras, computers, home appliances and TVs to HUGE discounts on headphones, memory cards and hard drives, Amazon.in has it all! All you need to do is log into the app of Amazon India, or visit its website, and start browsing the different offers that are available for the wide range of categories attributed to the electronics section – you will surely find what you need! Want more? You will be happy to know that Amazon is offering a minimum discount of 30% on various electronic products. Whether it us about buying mobiles, tablets, cameras, computers, home appliances, or any other product from the electronics category, you can expect the best online discounts coming your way. Here’s a smart shopping tip for all Amazon India customers – look around for the BIG mobile phone cash back offers that will make you come back for more. Amazon is also offering huge discounts on its headphones, memory cards, and hard drives; just go for them all! Smartphones are currently one of the most trending products that are going on the present Era. Smartphones are being used by all age group of people. In such a condition, everyone wishes to have the best smartphone. The smartphones these days are equipped with a lot of features such as ample storage, amazing camera, sleek design, fingerprint sensor and many more. The smartphones that are available come from brands companies such as Samsung, Nokia, Motorola Moto G, Apple, OnePlus, Blackberry, LG, Xiaomi Redmi, Sony, HTC Oppo, Vivo, Micromax to name a few. The discount & cashback offer on Mobile Phones purchase at Amazon India are quite exciting and you can get a discount of upto 50% on the smartphones. Furthermore, you can also buy your favourite smartphones on Easy monthly instalment. Which branded tablet would you like to work upon? Will it be a Lenovo, Samsung, Acer or Apple? Regardless of the configuration selected by you, you can look forward to availing 30-40% discounted price tags at Amazon India. Go ahead and start exploring the many models of tablets that are on sale at this buzzing e-market for techies like you. Even if you are planning to buy a tablet as a gift for a loved one, the right time to go about the act is now. Waste no more time and get online to buy the tablet of your dreams at throwaway prices – only @ Amazon India! Buy computer accessories at a discount or grab the best discounts on the computer peripherals of your choice at Amazon India. Whether you are an avid gamer, housewife, student or businessman you can add high-speed processors, powerful RAM, video editing /sound recording features, printers, scanners, speakers, mouse, keyboards, software, external hard disks, and all other computer peripherals to cater to your professional or personal requirements. The computers accessories on offer at Amazon India are attributed to reputed brands such as Apple, Dell, HP, Epson, etc – start buying right away! Be it a refrigerator, air conditioner, washing machine, dishwasher or just about any other large sized home appliance for your residential purposes, you can be assured of getting the best ever deals at Amazon India. So, if you have been waiting to shop for large appliances online, then this is the right time to go about the act. Amazon India provides an exhaustive catalogue of large appliances, namely, washing machines, refrigerators, dishwashers, microwaves, water purifiers, and air conditioners from leading brands like Blue Star, Carrier, Godrej, Electrolux, Bosch, Samsung, Whirlpool, Voltas, LG, Kenstar Croma, Haier and IFB. Browse through the latest models of large appliances available online, regardless of whether you wish to buy a new product for the first time, a replacement for an existing one, or a gift for a loved one. From different types of certified models, to products with the best features and functionality, you are likely to find just about everything and anything under a singular roof at Amazon India. When you choose to buy a TV online from Amazon India, you will get introduced to a full range of televisions online in different sizes and shapes at the best and most compelling prices. This online marketplace of high repute offers budget to high-end televisions attributed to leading brands such as Samsung, Sony, Panasonic, LG, Philips, Micromax, Mitashi, SVL, SkyHi, Noble Skiodo, IGO and more. If you want to buy a feature-rich TV that will blend well with the theme and layout of your interiors, then, you are surely in luck at Amazon India. Here, you can select from a large portfolio of home entertainment products such as 24 to 30 inch TV, 23 inch TV, 32 inch TV, 42 to 49 TV, 50 inch TV and above, without any hassles. The world of TVs online is filled with Full HD TVs, Smart TVs, Curved TVs and a lot more in different sizes – choose what you like best – you will not be disappointed. If you are fond of photography or are an avid collector of cameras and camera accessories, you will have a lot on your cards when you shop at Amazon India. From the most popular models of digital cameras in the league of Point & Shoot cameras, Digital SLRs and mirror-less cameras, to camera cases, camera lenses, camera bags and a host of other accessories, you can get it all. Amazon India sells cameras from all the leading brands such as Nikon, Lowepro, Sony, Olympus, Samsung, Canon, Fujifilm, etc. Look no further for photography equipment and camera accessories such as binoculars, camcorders, telescopes, spy cameras, CCTV cameras, digital photo frames, projectors, and a lot more, as you can find them all at the best ever prices at Amazon India. The Point & Shoot cameras and other digital cameras available at Amazon India can be purchased at exciting prices; they promise to a give the best results for your passion for photography. At Amazon India, there is no end to fashion accessories that are available for complementing your preferences. From belts, caps, stoles, and socks to key chains, card holders, cufflinks, wallets, umbrellas, handkerchiefs, headgear, stylish hats, stockings, clothes, shoes, watches, jewellery, and more, Amazon brings amazing discounts on all kinds of contemporary and fashion accessories. Shop for discounted products on offer from brands like Adidas, Reebok, Yoyo, Puma, Rebel, Red Tape, Flying Machine, Escobar, Lino Perros, Baggit, etc. in different patterns, styles shades and designs –today! (ix) Recharge Your Phone On Amazon And Enjoy Cashback! It is time for you to enjoy 50% cashback on your very first prepared recharge on Amazon! Yes – you read it right – Amazon presents recharging services on its websites; this means that along with buying clothes, accessories, appliances and other such amazing stuff for yourself from Amazon, you can now recharge your phone from here too. Whether you have a Vodafone number or a BSNL one, whether you’ve got Idea or Docomo, all or any of your numbers can be recharged with the help of Amazon’s brand new service. The maximum cashback that you enjoy is of Rs.50 and this offer is valid only on the first mobile prepared recharge made with Amazon Pay Balance. It is available from 1st March 2018 to 30th of April 2018 and the total cashback that you can enjoy, overall, is of Rs.50; the cashback gets credited into your account in three days. What are cash back offers? Cashback offers are considered as the marketing campaign that are under taken by Amazon to boost up the sales. Amazon tie-up with various banks such as ICICI, Axis Bank, Punjab National Bank (PNB), Canara bank, IDBI, Bank of Baroda (BOB), HDFC,SBI and Citibank etc. so that they can give their customers additional cashback on purchasing the product from their website. In this way, both the customers as well as the Amazon get mutual benefit. How to Claim your cashback offers? ● Read the terms and condition that have been mentioned in cash back offer page of Amazon. ● Search from the .wide portfolio of products that is available on Amazon and then add them to the shopping cart. ● Check that the products that are added in the cart make up for the minimum value so that it is eligible for the cashback. ● Navigate to the payment page. ● Pay the given amount using your debit card/credit card. ● The mentioned cashback will be reflected in your bank account within 60 days. For instant cashback offers you don’t need to wait weeks or months for getting your cash back . In this type of offer, the discount will be directly applied to your shopping cart and you have to pay the only discounted amount . Online shopping has taken the world of shopping by storm. People now feel that buying things online is far better and easier than going from stores to stores. There is no doubt about it that online shopping is an easier way of shopping. It is less time consuming and not at all troublesome. You also get thousands of options to choose from, a plethora of brands and numerous categories. And as the shoppers are becoming smart shoppers the number of e-commerce websites is also increasing. The competition between them is also getting tougher day by day. Each website has to put the best foot forward to impress the smart online shoppers. Amazon is not far behind. Amazon.in has managed to impress the online shoppers with the amazing products, numerous categories, n number of brands, reliable services and low prices so much so that, it has become one of the best e-commerce website. What Amazon.in have in store? Amazon India has everything, literally everything. Clothes for both men and women, footwear for both men and women, accessories, baby products, beauty products, bags and luggages, books, kitchen and other home products, computers and laptops, electronic goods, cars and bikes, office products, TV shows, movies, music, musical instruments, food products and the list is endless. There is no single thing that you could not buy from Amazon. Brands like W for Women, Chemistry, The Closet Label, Vero Moda, FCUK, Arrow, Grasim, United Colors of Benetton, Pepe, American Swan, Classic Polo, Zovi, Fastrack, Ray Ban, Flying Machine, Oakley, Creed, Police, Calvin Klein, Fendi, Salvatore Ferragamo, Lacoste, Samsung, Nikon, Fujifilm, Acer, Asus, JBL, Micromax, HTC, Sony, Oneplus, Timex, Maxima, Giordano, Citizen, DKNY, Diesel, Daniel Klein, Kenneth Cole, Tommy Hilfiger and many other brands are available at discounted rates. With the cash back offers, you will get the beal deals on the product that you would have been waiting for long. The products are available at unbelievable prices and thus you can get to choose from a variety of products. As an avid Amazon shopper, you have a lot of good things in store for you if you choose to add Amazon Prime to your wish list of memberships online. As a Prime member, you will be able to get exclusive access to the movies and TV shows of your choice, original audio series, Kindle books, ad-free music, and unlimited photo storage. All that you have to do to avail these lucrative offers is get set with your 30-day free trial of Prime and then keep enjoying its facilities further at just Rs.499/year . Shoppers can gift Prime membership to their loved ones, refer friends, share Prime coupon codes, and get free shipping on more than 50 million items that are eligible for sale at Amazon Prime. Get ready to sort out all your shipping and shopping issues with unlimited deliveries, no minimum order sizes, millions of exciting items, and practically limitless products to buy quickly and effortlessly. Amazon Prime offers FREE release-date deliveries on eligible pre-order products featured on this portal. Are you all geared to enjoy your anticipated movies, books, video games, and other favorites? What’s more? With Prime, you can download entertainment onto your devices to enjoy your choice of entertainment, anywhere! Nowadays, it is becoming common for Amazon India shoppers to buy gift cards for their loved ones, as gifts for special occasions, or simply as vouchers that can be used for later shopping purposes. Amazon.in is providing quite a few gifting mediums that come with different denominations from Rs.10 to Rs. 10,000 for selection by Amazon shoppers. You may desire to opt to send these cards online, via email, or the old school way as in snail mail. You may also want to gift yourself Amazon.in gift cards and use the same when you shop or dine at your favorite hangouts. One of the best things about Amazon Pay Balance is that they can be personalized with the help of desired images, colorful pictures, expressions or other creative inputs available at the Amazon.in store. It is indeed a nice idea to gift your best friend or cousin one such gift card on their birthday; Amazon e-gifts can be purchased for any amount and designed with their respective zodiac signs for added appeal. Go ahead, insert sweet, whacky or emotional messages to wish the recipients well – they will love to shop online at the Amazon store with Amazon Pay Balance. Amazon believes in delivering the product within the time limit that it has set. The turnaround time for the delivery of products is very quick and it usually takes 4 to 7 days to get the product at your doorsteps. The payment options on Amazon are quite hassle free. You can pay for the products that you are purchasing via credit card/debit card/net banking/EMI or Cash on delivery. Furthermore, you can also opt for returning the order in case the product did not meet your required quality expectation. The return policy is also termed very hassle free. Amazon brings up an amazing service that is tailor made for the book lovers that is tailor made for the book lovers. You can now buy the favourite collection of books online on Amazon kindle store at a much discounted price. Moreover, a million books are available for grabs ranging in various categories such as fiction, adventure, action, thriller, romance and many more. A lot of payment methods are available for purchasing the books such as credit card, debit card, net banking, EMI and COD and you can use any of these as per your convenience. Furthermore, you can have a look at the rating of the book that you are purchasing and perhaps you can buy them accordingly. Amazon truly brings out a lot of benefit to its customer. Amazon regularly comes up with amazing deals and offers that makes buying the product hassle free. Moreover, the products that you get at amazon are very much authentic and reliable. Quick delivery, Flexible payment options, easy returns and best products are the USP of Amazon. All these truly make it one of the best E-commerce website across India and the world. MUMBAI: Away from the animated debate on privacy and the role of Aadhaar, banks are battling the travails of ‘Aadhaar Pay’ — a payment system where customers put their finger impression on a device to shop and withdraw cash instead of swiping credit or debit cards. Last week, senior officials of the leading banks met in Mumbai to discuss the hurdles and efficacy of the Aadhaar-enabled payment mechanism. The questions that cropped up were: Would city consumers, who have multiple payment options like cards and wallets, share their biometric data to shop? Does it make sense to invest crores to upgrade and secure millions of point of sale (PoS) devices with scanners that capture finger print? Other key questions were: Isn’t Aadhaar better suited for rural markets? Will merchants push Aadhaar based payment (in which bank accounts are debited) instead of credit cards that tend to push up sales? The lenders also wonder whether the merchants will push Aadhaar-based payment (in which bank accounts are debited) instead of credit cards that tend to push up sales. Bankers know they cannot disregard the government mandate, but they admit that the industry is in no position to meet the November 30 deadline to install Aadhaar-driven PoS machines. Under the circumstances, the banking lobby, Indian Banks Association, will spell out its views to Reserve Bank of India, even though most fear that the regulator may be reluctant to take a position due to the political implications of the Aadhaar debate. In an Aadhaar-based payment, the biometric data, the 12-digit Aadhaar number and the transaction amount are transmitted from merchant PoS to multiple entities: the acquiring bank, National Payments Corporation of India (an umbrella organisation for retail payments in India), UIDAI (which issues and stores Aadhaar data), back to NPCI and finally to the customer’s bank where the shopper’s account is debited. The biometric data is transmitted in an encrypted form. “Since the finger print image has to be guarded from hackers not only when it is transmitted to various organisations in the payment chain but also at the PoS point when it is captured, Unique Identification Authority of India (UIDAI) has specified new security standards for device manufacturers. The data theft at a private bank earlier this year shocked many and there were questions whether a merchant can store and misuse biometric data. The new specifications are aimed at addressing these concerns and secure the software as well as the hardware. It cannot happen overnight,” said a payment industry official. While some of the questions related to Aadhaar Pay and Aadhaar-based ATMs are yet to be sorted out, banks, thanks to the government directive, are advising customers to link Aadhaar details with their bank accounts before the end of the year; some banks are seeding Aadhaar at customer ID levels to cover all accounts. On the issue of customer consent, UIDAI has told banks to inform the customer in writing that Aadhaar details “are being taken as per requirement of the Prevention of Money Laundering Act (PMLA) rules and shall be used only for this purpose.” Banks have to keep record of such communication. Critics of Aadhaar, who are resisting any coercion to link it with mobile numbers and bank accounts, are hoping that some of these rules may change after the apex court ruling. Bankers, however, are more concerned with a more prosaic question: Does it make business sense? New York: Facebook users in the USA will now have the option to look up movie timings, local theatres and the selection of movies they are offering on the new ‘Movies’ section, as the social media giant has collaborated with Fandango’s and Atom Tickets’ booking services, thereby making movie plans more feasible. The feature, which is currently available for users in the United States, draws upon Facebook’s earlier update, Facebook Pages, which doubled as a ticket booking page made possible through a partnership with Fandango. The interface for those movie ticket sales from Facebook Pages is thus along the lines of the app’s “Movies” section currently, reports TechCrunch. After the introduction of this new section, Facebook users no longer need to visit a movie’s Facebook Page to start purchasing tickets, but can rather turn to the app for assistance. The new update is currently in its pilot phase and has been rolled out for a section of the USA. However, it is uncertain as to when the feature will be accessible for the larger market. Amazon.com opened two grocery pickup kiosks in Seattle, part of its latest effort to enter the $800 billion (roughly Rs. 51,65,000 crores) grocery market and compete with “click and collect” shopping options from big box competitors like Wal-Mart Stores. The “AmazonFresh Pickup” spots let shoppers buy groceries online and pick them up in as little as 15 minutes rather than having them delivered to their homes. The service is open to Amazon Prime members who pay $99 a year for delivery discounts and video and music streaming. Each location has parking spaces beneath canopies similar to those seen at gas stations. Grocery sales have been slow to shift online, unlike books and electronics, leaving Amazon at a disadvantage to competitors like Wal-Mart, Target Corp. and supermarket chain Kroger Co. Amazon is experimenting with brick-and-mortar concepts to get a toehold in grocery sales while its competitors add online options to their existing stores. Amazon also opened a convenience store format called “Amazon Go” that lets shoppers check in with a smartphone app, grab sandwiches, salads and other items they want from shelves and leave without having to check out. Instead, customers get billed automatically. The format is being tested by employees, who have found the technology crashes when the store gets too crowded, according to people familiar with the matter. WhatsApp chat groups help teenagers communicate with their peers and express themselves better compared to classrooms they are part of, a new study claims. The findings of the study say students in WhatsApp groups are able to develop closer and more open relationships with their classmates because of the freedom of expression they enjoy on the platform. As part of the study, the researchers observed two groups of eight youths aged 16-17, and two groups of eight youths aged 14 to 15. The teenagers perceived WhatsApp chat group as a space that breaks down the hierarchical division created at school. “The group chats are based on trust among the members of the group, and this enhances the possibility to be in contact,” Arie Kizel from University of Haifa in Israel, was quoted as saying to nocamels.com – an Israeli Innovation news website on Sunday. “The discussions on Whatsapp enable the development of a social environment that is warm and human,” Kizel added. “On WhatsApp, I usually feel that I am not being judged, particularly because there isn’t any eye contact or physical contact, only words and signs. So I feel more intimacy and security,” explained another participant. The school domain often divides the class into fixed groups and friendships, created on the basis of socioeconomic status, common activities or study tracks, and so forth. However, the WhatsApp groups break down these divisions and make the class a single, homogeneous group. “In the WhatsApp group, everyone can talk to everyone else. WhatsApp breaks down the walls we put up between us in class. The WhatsApp group is like a class team-building day,” one participant commented.